Noggins Corner Farm offers agriculture and environment based outdoor education programs for grades primary to twelve. Our programs are teacher-friendly, hands-on and interactive! Each program is designed for a maximum length of 3 hours. The program fee is $6.50, per student, taxes included. Teachers, EAs and school staff are free. Our programs run rain or shine, please dress appropriately the day of your visit! Our program content can be mixed and matched to meet the needs of a split class or your teacher preferences. 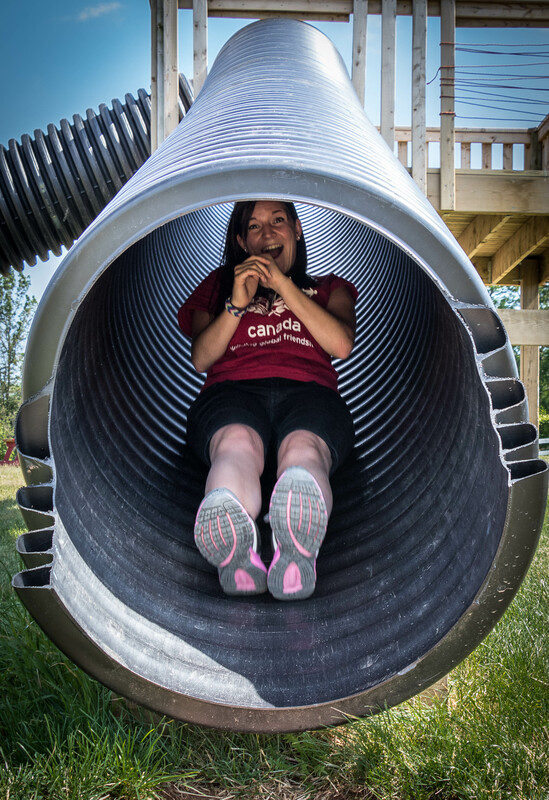 All of our programs include a lunch break and playtime in our Barnyard Adventure Area. Students can run, jump, slide and negotiate their way through a number of fun playground activities and mazes. When your bus rolls to a stop at our entrance, one of our friendly educational staff will hop on board to welcome all students, briefly explain farm rules and the schedule for the day. Students will then disembark from the bus with all personal belongings and be guided to their designated picnic tables for the day. Everyone will be given 10-15 minutes to settle in, use the washrooms and enjoy fresh apple snacks courtesy of the farm. From here all classes will be grouped with their Noggins Corner Farm educator for the day and start off on their specific programming. This may include (but is not limited to!) 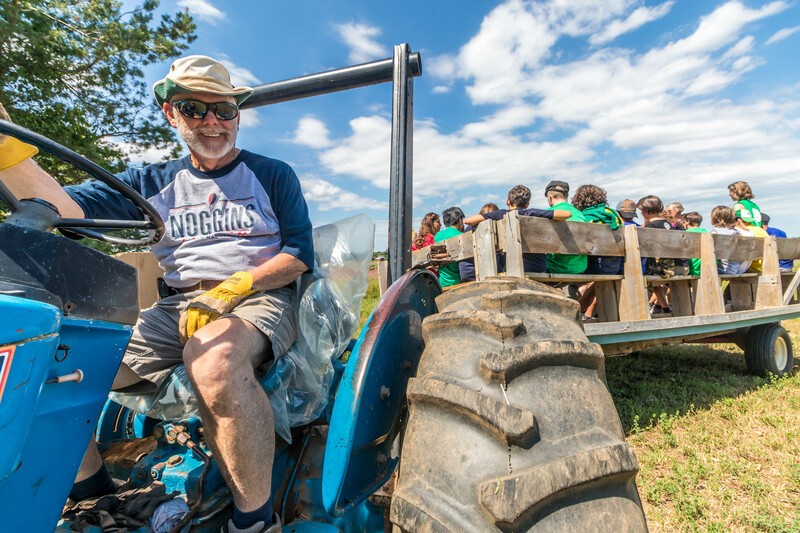 a nature walk, scientific experiments, the corn maze, apple picking, a farm tour, wagon ride. We typically aim for at least 90 minutes of programming. The farm is also available for activities and tours for groups outside of the school system. We take great pride in offering an exciting and interesting learning atmosphere for all of our visitors, no matter their age! We offer hard cider tastings, farm tours and a Geocaching course. There is so much to learn about!